KUALA LUMPUR (Reuters) – The snow will be fake, but the very real financial muscle China boasts proved decisive on Friday when Beijing won the right to host the 2022 Winter Olympics. Games officials meeting in Kuala Lumpur voted for the Chinese capital over the lure of a winter wonderland offering from Kazakhstan’s Almaty, in a clear sign that the International Olympic Committee is craving solidity and security after a series of problems and headaches. While Rio scrambles to make up lost time in its building for the 2016 Olympics, and Tokyo is embroiled in a stadium drama the allure of a megacity with a cast-iron financial guarantee proved irresistible. That Beijing will deliver what Chinese President Xi Jinping is calling “excellent and extraordinary Games” is without doubt, and IOC members voted for that security. Beyond the slopes, it was a good day for sports equipment and apparel manufacturers who will now gain exposure to China’s hundreds of millions of aspirational middle classes. 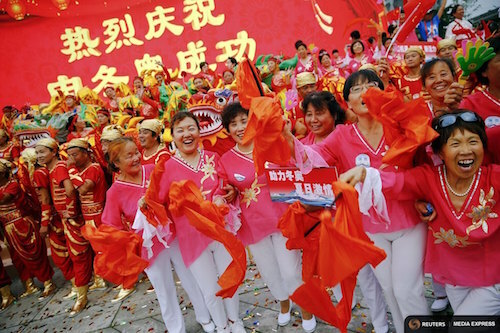 Beijing mayor and bid leader Wang Anshun dangled the prospect of 300 million new converts. “We will leverage this success to popularise and develop winter sport in China,” Wang told reporters. The enormous cost of the sporting spectacle – Russia’s Sochi games cost a record $51 billion – weighs increasingly heavily. Stockholm, Krakow in Poland and Oslo all pulled out in the course of the bidding. It was a close-run thing, though, with the Chinese winning by 44 votes to 40 — just two voters’ difference. Many were charmed by Almaty’s promise of a picture postcard event blanketed in snow in the former Soviet state. The Kazakh offering was an intimate one, with no venue more than 35 km (22 miles) from the Olympic Village. By contrast, Beijing’s winning bid features repurposed 2008 Summer Olympic venues in the capital and events an hour away at two mountain ranges. With little snow on the Yanqing and Zhangjiakou ranges, these Games will be “brown, brown, brown” one senior IOC member told Reuters, and will depend on man-made snow. “Keeping it Real” had been the Kazakhs’ motto, a cheeky dig at Beijing’s reliance on artificial snow. In Almaty, though, Kazakhs reacted to losing with a mixture of disappointment and relief. President Nursultan Nazarbayev, who has ruled for 26 years, had said the Games would “make the names of Kazakhstan and Almaty ring out across the world”. The IOC membership did keep it real, though, and this meant following the money and a tried-and-tested Olympic city. Beijing’s victorious bid team were euphoric, with Wang declaring a historic day. But back home the response was a little more muted with little of the public displays of joy which had greeted the decision to award the 2008 Summer Games to Beijing. By selecting Beijing, the IOC also appeared willing to accept what looks certain to be a seven-year barrage of questions and criticism over China’s human rights record. Human Rights Watch, which was highly critical of both China and Kazakhstan during the bid process, was quick to voice its displeasure. “The Olympic motto of ‘higher, faster, and stronger’ is a perfect description of the Chinese government’s assault on civil society: more peaceful activists detained in record time, subject to far harsher treatment,” HRW’s China director Sophie Richardson said in a statement. The Games body has been criticised by human rights groups for years, most notably after awarding the 2008 Summer Games to Beijing and the 2014 Winter Games to Sochi. It has since added anti-discrimination clauses to the host city contract. IOC president Thomas Bach had said on Thursday the committee had been speaking to a wide range of groups, including Human Rights Watch, but that outside the context of the Games, the IOC had to respect the laws of sovereign states. China has long argued that it is unfairly singled out for criticism of its rights record and says other governments should examine their own records before making accusations. The Beijing 2022 bid committee did not immediately respond to a request for comment, but said this week sport should be kept separate from politics. China’s Foreign Ministry also did not immediately respond to a request for comment. BEIJING (Reuters) – Human rights activists on Friday criticized the decision to award Beijing the 2022 Winter Olympics, saying the International Olympic Committee had sent the wrong message at a time of growing government pressure on activists and civil society. 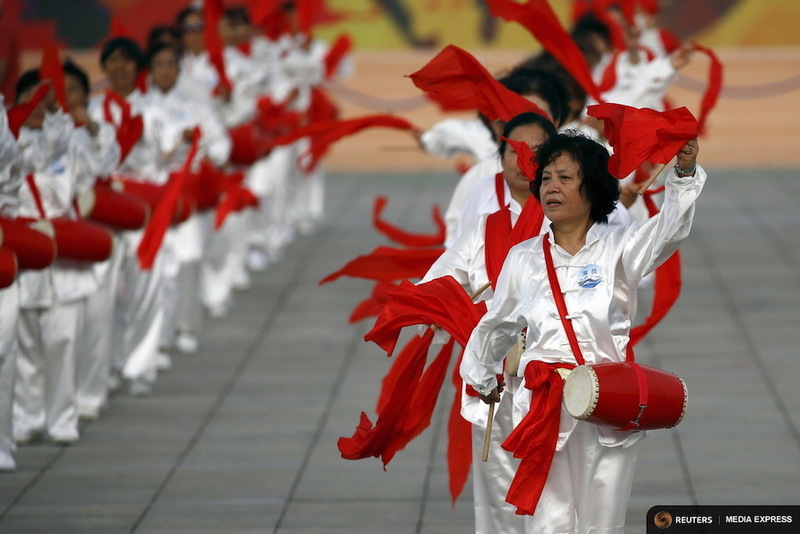 Campaigners say human rights have deteriorated markedly in China since Beijing held the 2008 Summer Games. The last two years under President Xi Jinping’s administration have been marked by a sweeping crackdown on dissidents, activists and human rights lawyers. 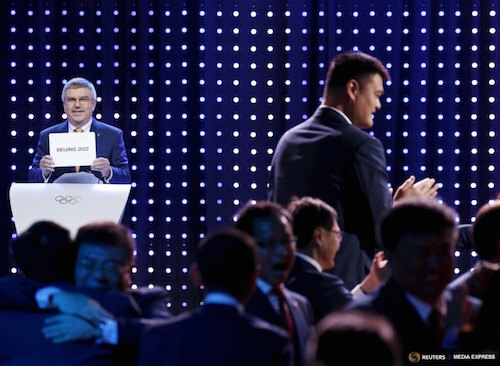 Beijing beat the Kazakh city of Almaty to win the 2022 Winter Olympics, after all the other cities which had considered bids, like Oslo, dropped out. “The IOC’s awarding of the 2022 Olympics to China is a slap in the face to China’s besieged human rights activists,” said Sophie Richardson, China director at Human Rights Watch. Six groups which opposed Beijing’s bid appealed to the IOC ahead of the decision, urging it not to award Beijing the Games. Speaking on Thursday evening, IOC president Thomas Bach said the committee had been speaking to a wide range of groups, including Human Rights Watch, but that outside the context of the Games, the IOC had to respect the laws of sovereign states. “With our Olympic values of tolerance, respect, excellence, non-discrimination, we send a strong message to the world – the strong message spread by the athletes living together in the Olympic Village in a community where all people are equal,” Bach said. The Beijing 2022 Bid Committee did not immediately respond to a request for comment, but said this week that sport should be kept separate from politics. Tibetan activists have been particularly incensed by Beijing’s bid for the Games. China says it “peacefully liberated” Tibet in 1950 and its rule has brought development to a poverty-struck region. Exiles and rights groups say Beijing rules Tibet with an iron fist and tramples on the people’s cultural and religious rights. “The honour of a second Olympic Games is a propaganda gift to China when what it needs is a slap in the face,” the International Tibet Network said in a statement. 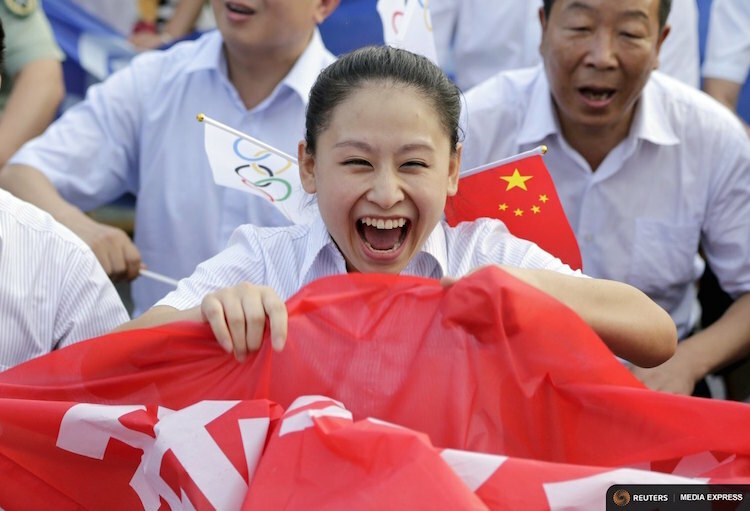 BEIJING (Reuters) – Beijing celebrated its selection as the host city for the 2022 Winter Olympics in low-key fashion on Friday, in stark contrast to when the Chinese capital was awarded the 2008 Summer Games. In 2001, Beijing reverberated with noisy celebrations as excited crowds thronged into Tiananmen Square and the city streets in an outpouring of joy. With four European bidders dropping out of the race, citing worries over costs and lack of support for the Games, Beijing emerged as the clear favourite, facing only the Kazakh city of Almaty. But there were little obvious sign of celebration when Beijing was formally announced as the winner on Friday, apart from government organised events, although many people said they were pleased China had won the vote. In the fashionable Sanlitun entertainment district, many people expressed pride at the news, but there was no flag waving on the streets or any other celebrations. Photographer Lan Xianhui, 24, said he was glad because he expected Chinese authorities would tackle the city’s heavy pollution during the Games when the world was watching. “At the very least, we’ll be guaranteed blue sky days in the short term. It’ll be more comfortable,” he said. Around Tiananmen, just one of a group of nine construction workers visiting from neighbouring Hebei province who spoke to Reuters was even aware Beijing was bidding. “No one cares about skiing or things like that. We like football,” said one of the workers, who gave his family name as Chen. At a government organised rally near the “Birds Nest” stadium, the centrepiece of the 2008 Olympics, organisers had to ask people to cheer louder after the decision came in. “I think they organised us to come here instead of just expecting crowds to come because the level of people’s excitement is lower this time,” said Mi Zuo. Beijing has had to bat away worries about a lack of snow in the mountains, smog in the city, human rights and internet controls in the lead-up to Friday’s decision. Beijing’s notorious smog problem can be especially bad during winter but the city has pledged $7.6 billion to tackle the issue. Greenpeace said it considered Beijing’s pollution commitments to be “relatively ambitious”, and that keeping the air clean in February, when the Games would be held, would be “no easy task”. With a much lower profile that the Summer Games, whipping up popular and media interest in the immediate run-up to the decision has proved a tough task. The official Twitter account for Beijing 2022 has 1,306 followers. Its Facebook page has just 1,052 “likes”. Both sites are blocked in China, underscoring another challenge; whether Beijing will, or can, really unblock the Internet for the Games, as they have promised.